Venue: Dewan Besar, UTM International Campus, Jalan Semarak, Kuala Lumpur. 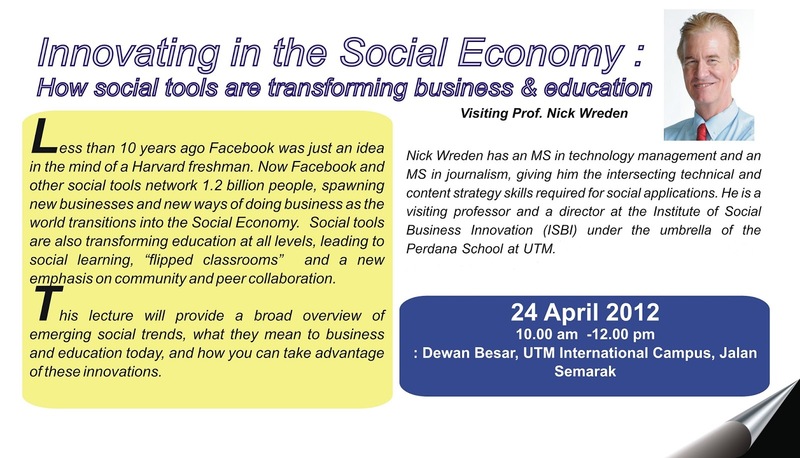 Speaker: Nick Wreden, Visiting Professor, UTM. 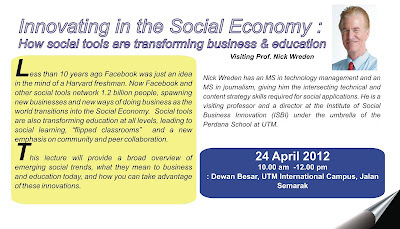 Title: Innovating in the Social Economy: How social tools are transforming business & education. 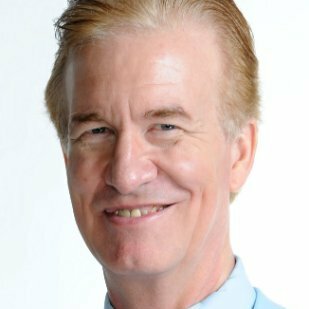 Nick Wreden has an MS in technology management and an MS in journalism, giving him the intersecting technical and content strategy skills required for social applications. He is a visiting professor and a director at the Institute of Social Business Innovation (ISBI) under the umbrella of the Perdana School at UTM. Less than 10 years ago, Facebook was just an idea in the mind of a Harvard freshman. Now Facebook and other social tools network 1.2 billion people, spawning new businesses and new ways of doing business as the world transitions into the Social Economy. Social tools are also transforming education at all levels, leading to social learning, "flipped classrooms" and a new emphasis on community and peer collaboration. This lecture will provide a broad overview of emerging social trends, what they mean to business and education today, and how you can take advantage of these innovations.